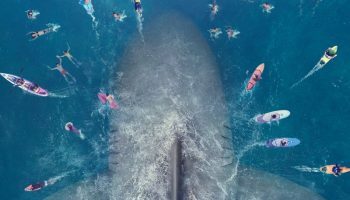 ‘The Meg’ Movie Review – Spotlight Report "The Best Entertainment Website in Oz"
Thanks to Roadshow Films Australia, we got to see The Meg before its Australian release. This is our review of the movie, but as usual, no matter what we say, we still recommend you to go see it at your local cinema because there is no better critic than yourself! 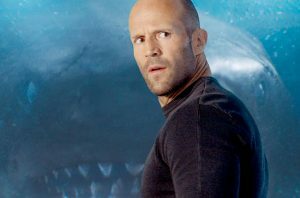 In the tradition of Jaws, The Meg is also based on a novel – written by Steve Alten, way back in 1997 – and has the ultimate oceanic killing machine, a shark, pitted against a man doubted by the public of its size and danger, and determined to destroy it. Enter Jonas Taylor (Jason Statham) who, five years earlier, saved Dr Heller (Robert Taylor) and scientists on a nuclear submarine using his rescue vessel. Jonas makes the decision to leave some of the members behind, or lose the entire crew, knowing something huge and destructive is attacking the sub’s hull. 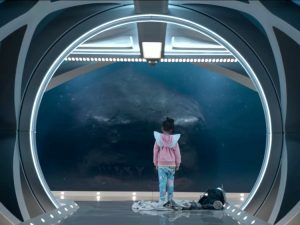 Led by Dr Zhang (Winston Chao) and his daughter, Suyin (Li Bingbing), Jonas’ ex-wife Lori (Jessica McNamee) dives in a monitored submersible with Toshi (Masi Oka) and “The Wall” (Olafur Olafsson) which quickly gets in to trouble with the 25 metre megaladon. Jonas is convinced to leave Thailand to help out on a new mission: to rescue the submersible with Lori and her colleagues. Dean Georgaris’ screenplay includes a subplot of a developing romance between Jonas and Suyin, approved by Suyin’s daughter, Meiying (Shuya Cai). Meiying gets the first, up-close look at Meg’s size and simply explains, “There’s a monster outside”. Cue action man, Statham, full of wisecracks and bravado (with a gratuitous shower scene for the fans) to save those in the shallower waters above, after Meg slips through a gap created in the thermocline by the submersible. Director John Turtletaub makes nods to Spielberg’s film, Jaws, particularly the beach scenes in the Sanya Bay area, and the interior shots of Mana One’s station are evocative of a Kubrick or Lucas sci-fi. However, like the robotic shark in Jaws, the monster is just not believable enough to be taken seriously. 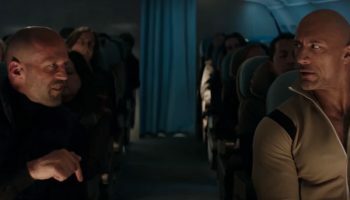 If it’s deep ocean entertainment you want, not deep musings, The Meg delivers. 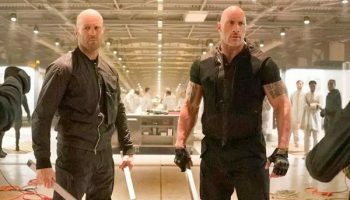 And the film’s David/Jonas versus Goliath/Meg theme is fun if you’re already a Jason Statham follower. But it’s not as iconic as Jaws. Three word summary? Sea! Gee! Aye!